Hardcover, 9.5 x 13 in. / 70 pgs / 51 color / 12 bw. 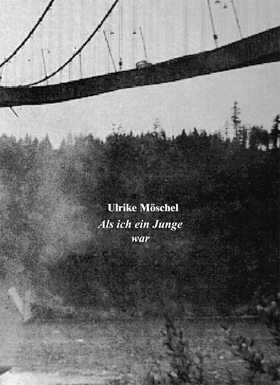 Edited by Ulrike Möschel. Text by Isabel Meixner, Annette Urban, Gudrun Bott. Ulrike Möschel's sculptures sensitize us to the emotional temperature of spaces and things. Taken out of context, everyday objects like windows, slides and swings are made to seem provisional, dangerous or fragile--shards of glass pour from a door left ajar, a rope swing hangs, perilously frayed and about to snap, a children's slide is broken into inutile segments. This monograph surveys Möschel's recent gallery installations. FORMAT: Hbk, 9.5 x 13 in. / 70 pgs / 51 color / 12 b&w.